The Confucius Institute is pleased to announce an affordable student trip to China summer 2019. 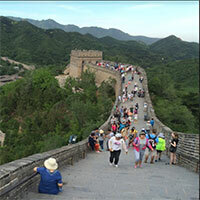 Students will explore vibrant Beijing and cosmopolitan Shanghai in a 10-12 day trip in late May/early June. There are several expenses that the Confucius Insitute will cover: housing, food, and transportation are among these. 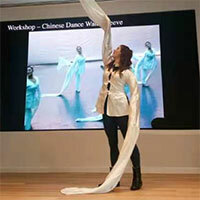 At the Webster Diversity and Inclusion Conference, Emily Wilcox, assistant professor of Modern Chinese Studies of the University of Michigan, Ann Arbor, spoke to the Webster community about her research on Chinese dance. This discipline has, until now, received little attention in academia in the English-speaking world in spite of a large and growing community of amateur practitioners around America and the world. 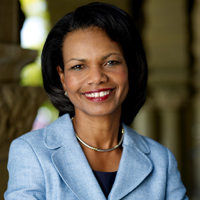 On the evening of Oct. 9, the Confucius Institute at Webster University and the World Affairs Council of St. Louis co-hosted the nationwide CHINA Town Hall event, which featured a webcast with former Secretary of State and National Security Advisor Condoleezza Rice. 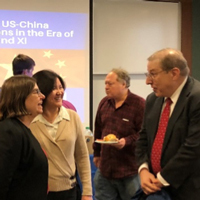 The Confucius Institute at Webster University hosted an event yesterday, “Doing Business in China: What They Don’t Teach You in Business School”. Students, staff, and faculty listened to anthropologist Elanah Uretsky, as she shed light on the intricacies of how business culture has affected public health in China. 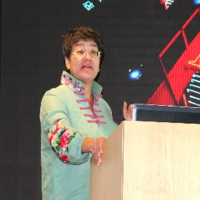 Uretsky focused her talk on the HIV epidemic, examining how cultural concepts and practices in China compel the intersection of business and risky behavior in relation to the spread of the disease. 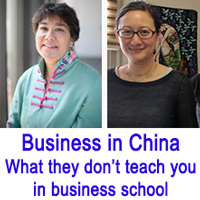 The Confucius Institute at Webster University will host an event, "What They Don't Teach You about Doing Business in China in Business School," on Wednesday, Sept. 26, on the main campus in Webster Groves. Hear from Elanah Uretsky, an anthropologist at Brandeis University whose research includes medical anthropology, HIV/AIDS, gender roles and disease transmission. A reception follows her talk, which is moderated by Elsa Fan, assistant professor of anthropology at Webster University. 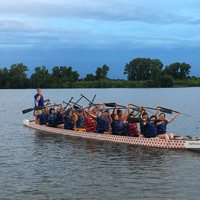 On Saturday, June 23, under the organization of the Confucius Institute at Webster University, Webster fielded a team of students, staff, and faculty at the 12th Annual Gateway Dragon Boat Festival at Creve Coeur Lake. 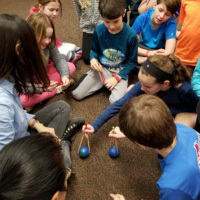 Team members made new friends from throughout the Webster community and across the world, and had fun while showing off their Gorlok pride! 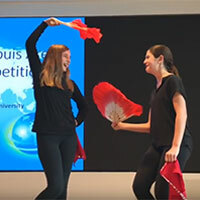 The Confucius Institute at Webster University hosted its annual St. Louis area “Happy Chinese Competition” Saturday, April 28. 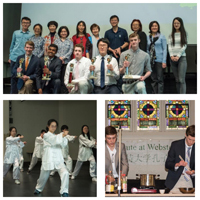 This competition affords local high school students currently enrolled in Chinese programs the chance to showcase their abilities and compete against their peers. 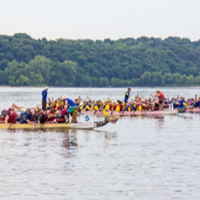 The Confucius Institute invites students, staff, and faculty to represent Webster University in the annual Gateway Dragon Boat Festival rowing competition at Creve Coeur Lake on Saturday, June 23. Come participate in this ancient Chinese tradition while getting some exercise and supporting a local charity. 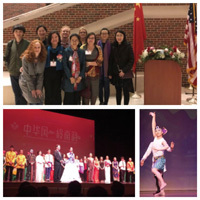 Vice Provost Nancy Hellerud and representatives from the Confucius Institute at Webster University joined the St. Louis Chinese community in welcoming in the Lunar New Year on February 28th. 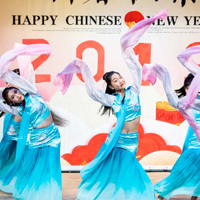 The annual New Year Gala on UMSL's campus featured performances by artists from Guangdong, China, in a variety of styles.